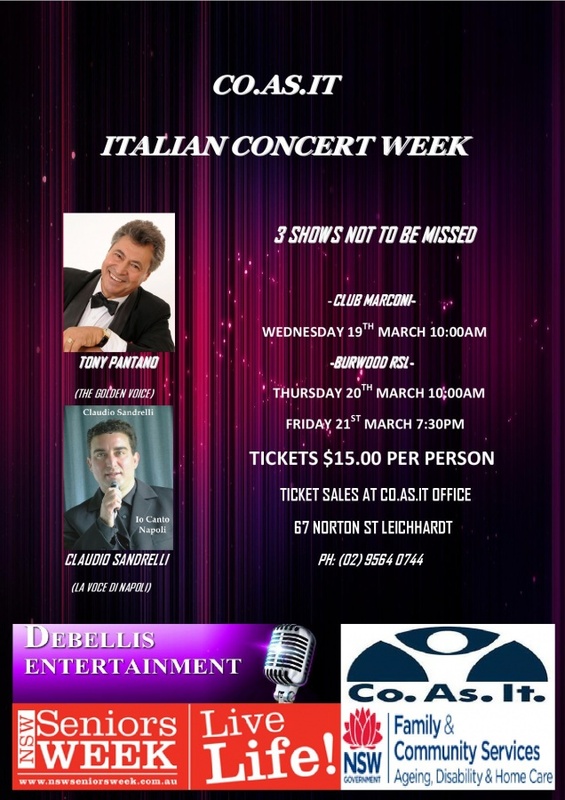 commented on "TICKETS ON SALE NOW AT ..."
DON'T MISS OUT TO SEE TWO OF THE BEST ENTERTAINERS IN THE AUSTRALIAN - ITALIAN MUSIC SCENE OF AUSTRALIA. including this year 2009 and "Entertainer of the Year" The Gold Award Twice, with The Mo Awards in Australia. Claudio has established himself as one of the most respected male vocalists in Australia. His voice will astound in the way he captures and mesmerises his audiences.